Ingersoll Rand is a household name in the manufacture of pretty much every tool in every field: mechanical, electrical, automobile, and more. Actually, Ingersoll Rand is a market leading brand and has an assortment of innovative products. Ingersoll Rand products are always a technological advancement over other products. They have made a name for themselves in the sheer number of quality and durable products that they roll out. Ranging from compressor systems to power tools, electronics to food and beverages, vehicle services to pharmaceuticals, Ingersoll Rand makes and provides them all. 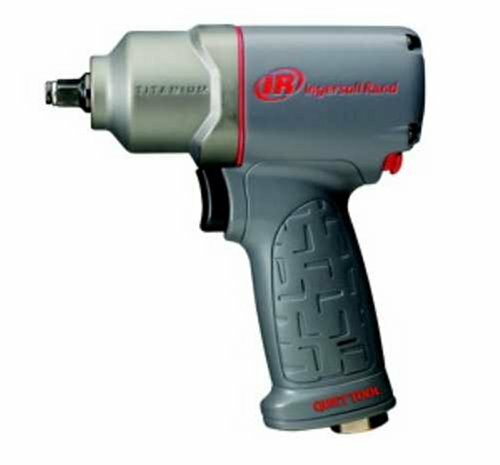 This article is a review of some of the best Ingersoll Rand products. 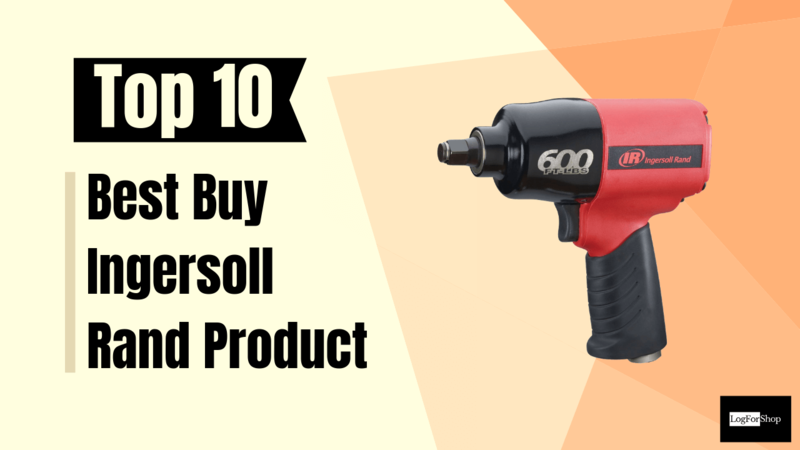 Topping this review list is the powerful impact wrench from Ingersoll Rand. This impact wrench is lightweight, weighing in at only 4.5 pounds. This means that you can use the wrench for as long as you like in a vertical or horizontal position without fatigue or strain to your shoulder and arm muscles. The torque output can be adjusted because it has a power regulator that can be fixed in any one of four different positions. It guarantees you the highest power and durability because of the dual hammer nature of the wrench’s mechanism. This wrench also produces about 1350ft-lb of torque. It has chiseled casing, the case of the hammer is made of titanium, and the wear plates are made of high-quality, commercial grade steel. This wrench is as durable as it is quality. 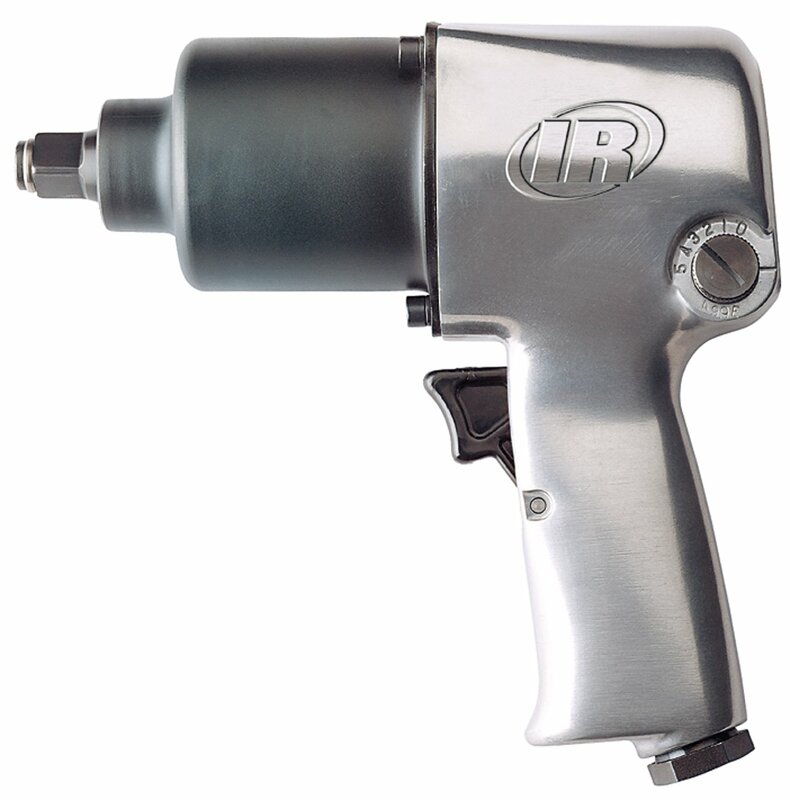 This is yet another air impact wrench from Ingersoll Rand. The 231C Super-Duty Air Impact Wrench is a different wrench with different features than the 2235 Drive Air Impact Wrench. This impact wrench has been around for over 25 years and has seen many improvements and advancement in features over the years. It is lightweight and suitable for both vertical and horizontal use. It also has a dual-hammer mechanism that helps deliver an output in torque of 600ft-lb. The design is ergonomic and is 2-piece in design. It is very easily operated and maintained. It even comes fully oiled and ready to go. The power regulator can be adjusted to control and determine the maximum output of torque. This wrench guarantees effective delivery, durability, and strength. Read More: Best Caulk For Exterior Windows And Doors Review & Buying Guide. This air-reciprocating saw can cut all types of materials: aluminum, wood, sheet metal, fiberglass, plastic, and composite materials. This saw is heavy-duty, powerful, durable and strong. It delivers ten thousand strokes in one minute. That’s why it is able to cut through every kind of surface: rough, smooth and curved. It also features a blade retainer that is positive. The blade guide is adjustable and comes with the kit of the saw. For installations, mechanical works, wood works and other types of workshops, this saw is an indispensable tool. The vibration of this saw is reduced when it is working so as not to impact or negatively affect the accuracy or precision of your work. This Air Hammer comes in a set of three chisels. It has longevity, is durable and will work effectively for any kind of work that you need to be done. Compressed air powers this air hammer and it produces 3500 blows in sixty seconds. The retainer can be quickly changed and makes it easy for swapping of chisels at short notice. It has a chiseled and strong design. The barrel of the air hammer is made of alloyed steel and the piston is treated with heat for more durability. The set of three contains a chisel with a punch that is tapered, a panel-cutter and a chisel that is flat. The grip of this air hammer is ergonomic, user-friendly and presents you with comfort and convenience when working. This high-impact and high torque wrench come in a kit with a charger and a battery. It is highly durable. The hammer case is aluminum and lined with steel to increase strength. Even though it is made of such heavy grade metals, it is lightweight and protects all the internal parts of the wrench. 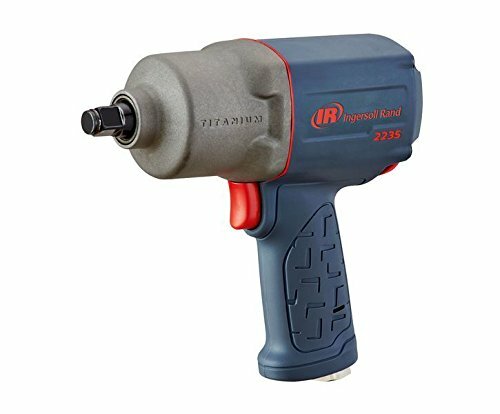 The wrench has reduced vibration due to the soft grip that is patented by Ingersoll Rand. The soft grip reduces stress and gives you comfort and convenience when using it for extended and long periods of time. It produces 780 foot-pounds of maximum torque in reverse and 1100 foot-pound of maximum torque. This wrench is cordless and powered by a rechargeable 20-volts, Lithium-Ion batteries. The case is blow-molded and seamless. This wrench has a gross weight of 6.8 pounds and is light enough to be used in both horizontal and vertical positions for long periods of time. This is also another set of power tools from Ingersoll Rand. This set of three contains an Impactool, a ratchet, and a combination socket set. 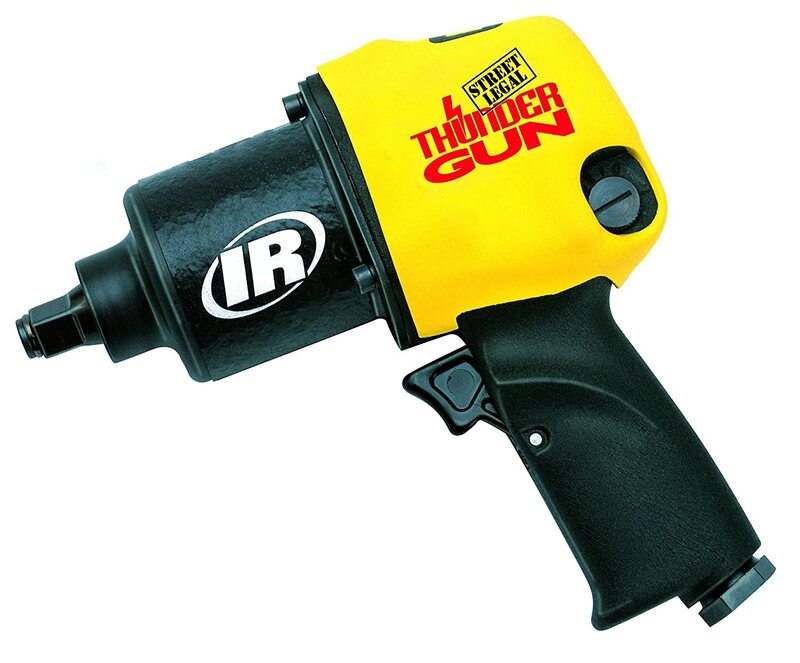 The impact tool has a twin-hammer mechanism that increase the torque output and guarantees a higher performance in power and more durability. The ratchet head is treated with heat to prevent corrosion and rust, improve strength, increase durability, and give it a longer lifespan. The tools have soft, textured and ergonomic grips for ease, convenience and comfort while using them. This set of tools is important and adequate to maintain automobiles and vehicles. Read More: Best Rowing Machine Reviews & Buying Guides. This is another wrench from Ingersoll Rand. 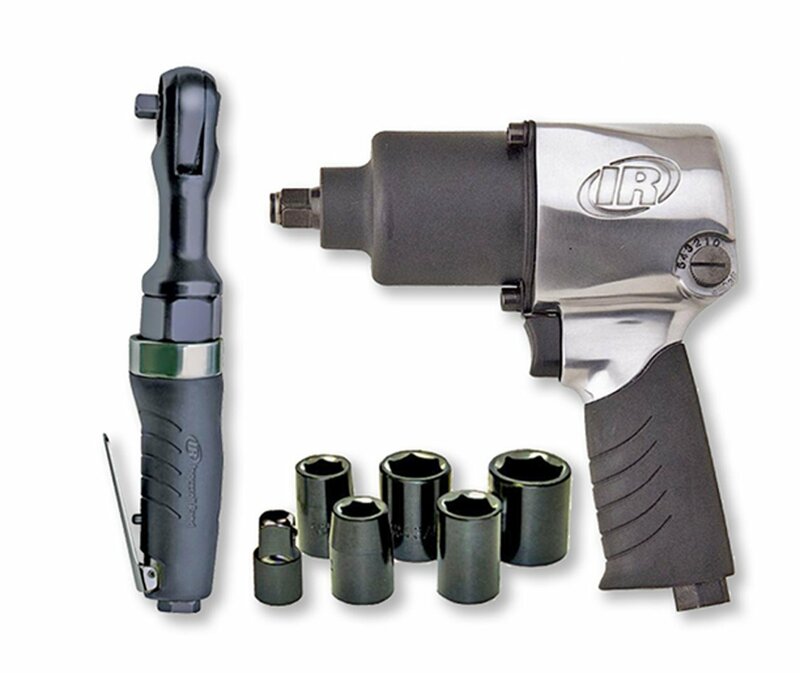 This Air Impact Wrench produces 550ft-lb of a maximum output of torque. The tease throttle is a full stroke. It also has switches that reverse and go forward easily and smoothly. The power output is adjustable and you can select any one of several power positions on the wrench. The case of the hammer is made of aluminum that is reinforced for maximum protection of all the small and internal parts of the wrench. It is however also lightweight enough to be used for longer periods of time in both vertical, horizontal and diagonal positions without stress or strain. It has a soft grip for easy handling when in use. This impact tool from Ingersoll Rand is unique in that it is made of plastic. The trigger is soft and light and it has a higher variation of adjustable power settings going forward, but the highest power setting is always in the reverse. In the reverse position, this impactool produces a torque of 300ft-lb for control and power. The motor has a novel 7-vane technology, delivering even greater power. Being plastic, it can easily absorb the vibrations caused by the rotation of the engine, making it really quiet. This means that you can work effectively with this impactool without noise or any over the top vibrations getting in your way and affecting the total output of your work. 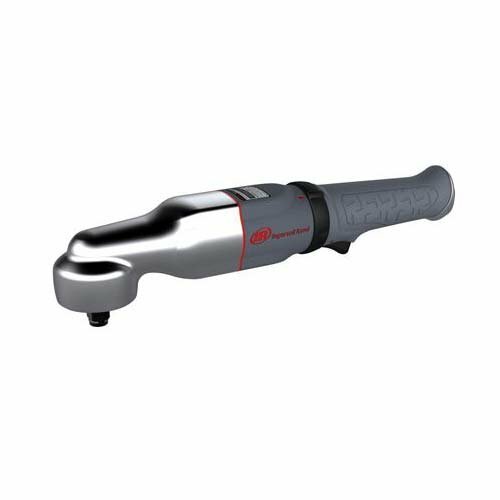 This Impactool also has a two-year warranty. This wrench from Ingersoll Rand produces more power than any other ratchet. It has 7100rpm (rotations per minute) and 180 foot per pound of maximum reverse torque. The trigger has a light and soft touch and the power regulator can be positioned in one of two positions. The reverse and a forward ring is positioned in a comfortable and convenient place and provides more accurate control when using the wrench. The head height is a little less than 2 inches and the torque is reactionless. This wrench can be easy, conveniently and safely used in tight or cramped spaces with no fear of recoil that may harm or hurt you. It also produces 2100 impacts per minute and helps you do more work in less time. Read More: Best Heavy Duty Drills Reviews & Buy Guides. 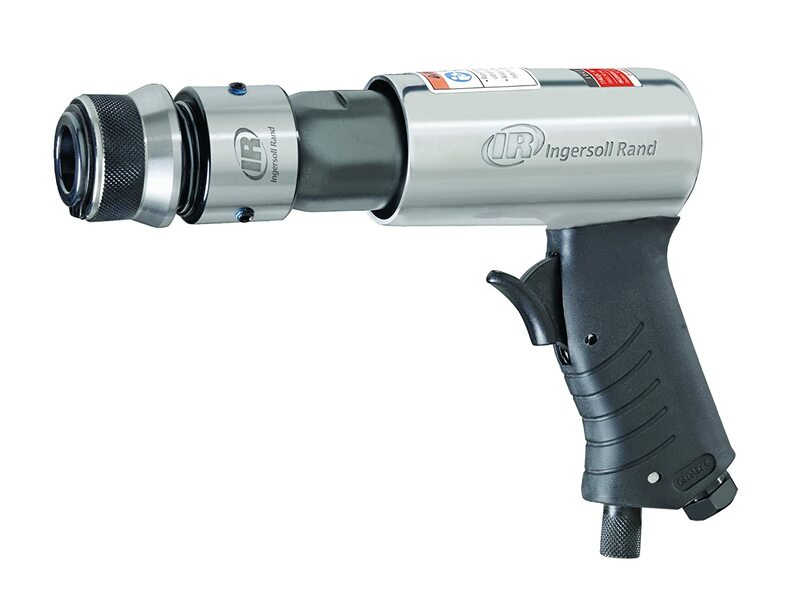 This Impact Wrench is the fastest half-inch impact wrench that Ingersoll Rand has to offer. It is so fast, in fact, that it rivals NASCAR racing tools used in changing NASCAR tires. It has a distinct look and bears several similarities to the racing tools of IR. 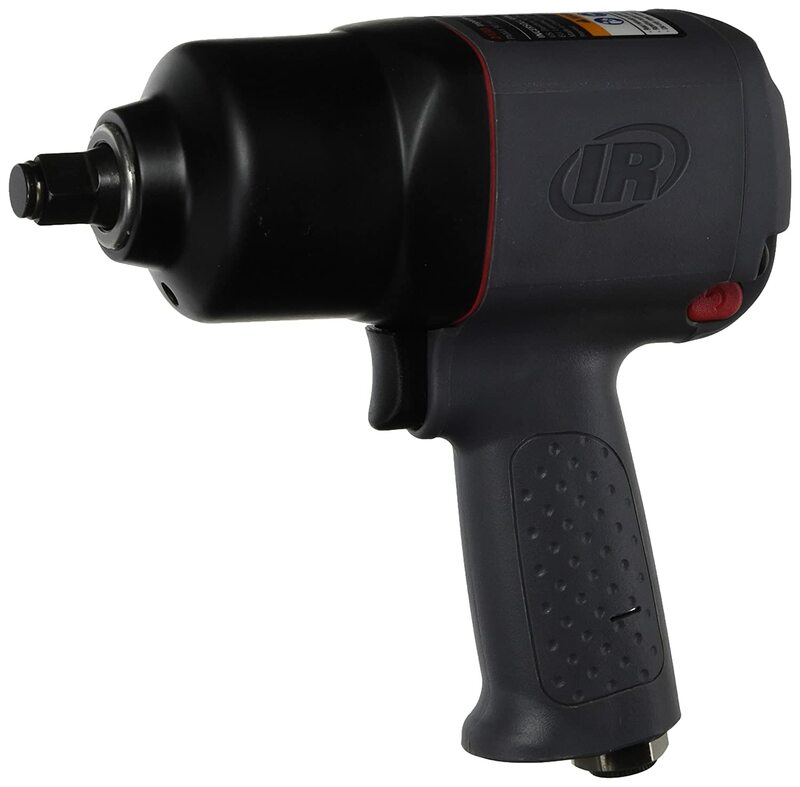 The power regulator of this Air Impact Wrench Gun can be adjusted to suit your needs. Weighing in at only 6 pounds, it is effective in delivering a fast-paced maximum reverse torque of 625ft-lb and forward torque of 550ft-lb. It has 10000rpm and is very useful for street racers. It effectively combines power, durability, performance, and speed. Impact wrenches, thunder guns, ratchet kits, reciprocating saws are essential tools. And as you have seen in the above review, have different specifications and features. There is no one-size-fits-all for these tools. Each has its features, plus, and minus. So you need to consider the features of the tool that you want to buy, weigh the pros and cons and juxtapose them with what you need. This will help you select the tool that will most aptly suit your needs and fulfill your purpose. Power- Most air tools are powered either by electricity or by batteries. Tools powered by electricity are referred to as corded because they have an electric cord that is plugged into an electrical outlet or socket. 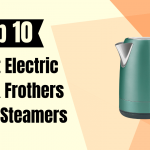 Those powered by batteries are generally called cordless since they do not require a cord before they function. Both corded and cordless tools each have their advantages and disadvantages. While cordless tools can easily be used without cords getting in the way, they are only as useful as the lifetime of their batteries. Once the batteries run out, so does the tool. Corded tools, on the other hand, can be used for as long as possible, once they are plugged in. You only have to deal with getting a place to plug them in, and then the hassle of electrical wires getting in your way. Size- When you need to work for longer periods of time, it is best that you not be holding heavy tools that will cause fatigue or interfere with the precision and accuracy of your work. Lightweight tools are more often than not the best. You are able to use them consistently for longer periods of time. Cost- It is very important that you stay within your budget and not splurge on any tools, except when absolutely necessary and only when you can afford to. 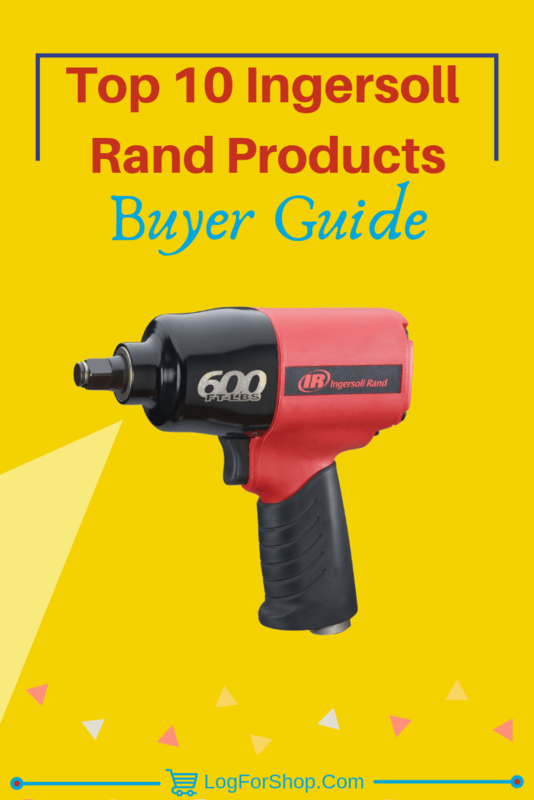 This article and the concluding buying guide has reviewed some of the products manufactured by Ingersoll Rand. 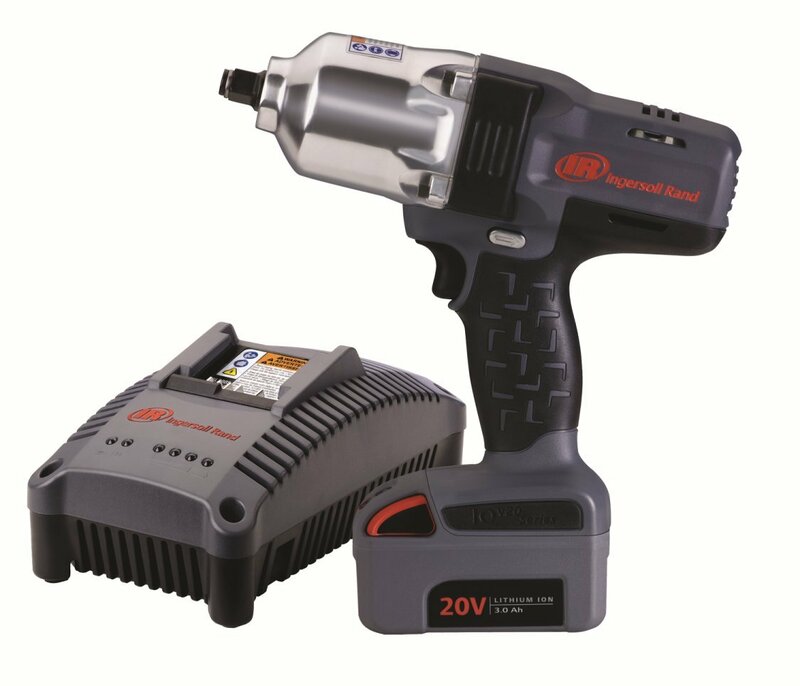 With Ingersoll Rand, you are guaranteed quality, durable and powerful tools. Ingersoll Rand manufactures many different types of products across several fields, so whatever you are looking for, any power tool or air tool, Ingersoll Rand has got something to cover for you. You may also check out Ingersoll Rand’s official website for a list and catalog of all their products and the services that they offer.